Eureka was founded in 1909 by Fred Wardell, a former auctioneer, and the company was deliberately named after the famous Archimedes quote when his body displaced the water in his bath. Meaning “I found it!”, Fred used the phrase as he felt his company would provide innovative products. Its range of vacuums included the Eureka Boss SmartVac which won a number of “Best Buy” & “Best Vacuum” awards. In 2007, the Eureka Capture vacuum won the Good Design Award from the Chicago Athenaeum Museum of Architecture and Design. Nowadays, Eureka is part of the Electrolux family. Eureka’s main focus is in the cleaning industry, both home and commercial vacuums (see later). 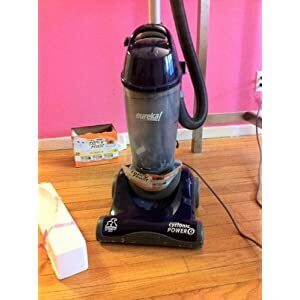 With over 130 models distributed through their brands – Eureka, Electrolux, Sanitaire (serving commercial cleaners such as hospitals, schools and offices for more than 30 years) and Electrolux Central Vacuum systems (formerly known as Beam Industries). convenience cleaning – for when you want to clean up quickly. comfort designed vacuums – when ergonomic design is important. those for hard to reach areas – to get into the smaller spaces and difficult to maneuver areas. multi-surface vacuums – All floor types and even the ceiling if you want. 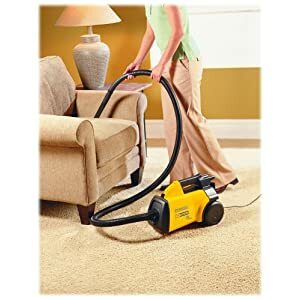 allergen control – HEPA vacuum cleaners for those who suffer from asthma or allergy, or maybe you just want to make sure your carpets are thoroughly cleaned. Pet hair – ideal for people who have pets and need to clean up hair regularly. eco-friendlier vacuum cleaners – for the eco-warriors out there. These vacuums are eco-friendlier, e.g. the Envirovac 3041 uses an 8-amp motor that uses 33% less energy than a typical upright vacuum cleaner. These also include washable allergen filters, so you don’t need to buy replacement filters. Eureka have designed the Eureka Commercial vacuum cleaner for those with professional-grade cleaning requirements. These include a sealed HEPA filter that captures 99.97% of dirt, dust, mite debris and allergens that pass through the vacuum. The long cord on these machines allow you to clean all around the house with minimal plugging and unplugging of the power cable. These vacuums come with professional grade cleaning accessories.